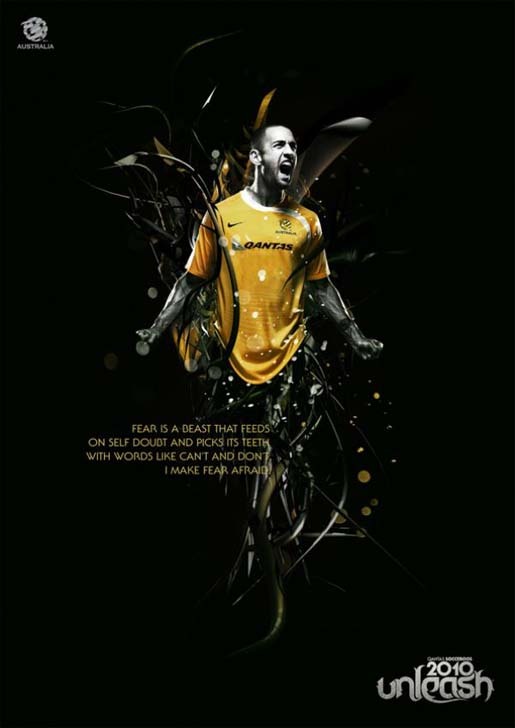 The Football Federation of Australia is promoting the Qantas Socceroos FIFA World Cup 2010 campaign with “Unleash“, an integrated advertising campaign. 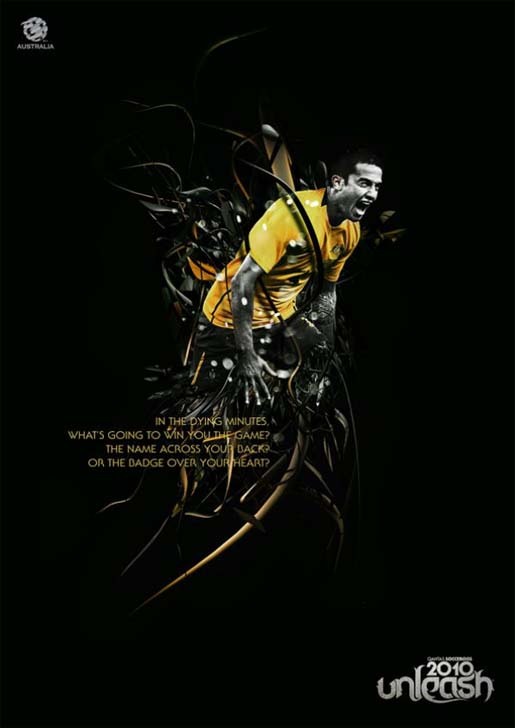 Print and television advertisements feature Tim Cahill, Carl Valeri, David Carney and Luke Wilkshire dealing with the primal emotions associated with competition on the world stage. The Unleash campaign was developed at Lowe Sydney by executive creative director Simon Cox, copywriter Nathan Lennon and art director David Gibson, copywriter Dean Hamilton, agency producer Lisa Brown, account manager Guy Lovell and Nathan Quailey. The print campaign was produced by photographer Penny Clay, designer Justin Maller and typographer Luca Ionescu. Filming was shot by director Christopher Riggert via Radical Media Sydney with producer Karen Bryson. Post production was done at Fuel VFX. Editor was Stuart Reeves at Guillotine. Music by Alex Gomez was produced at Eclectic Music. Sound was produced at Sound Reservoir.